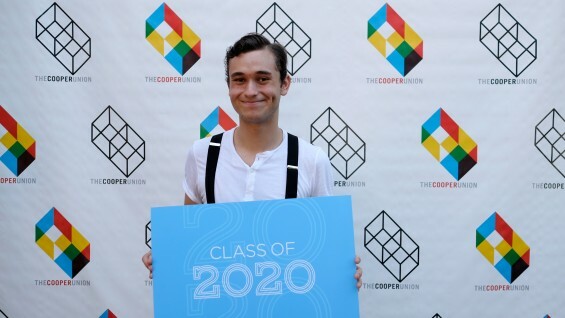 Each year the Department of Admissions gathers data to create a snapshot of the incoming class at The Cooper Union, and to understand that information in relation to past years. The Class of 2020/21 continues the school’s tradition of admitting students who have distinguished themselves academically. Among the 2,654 people who applied to all three schools at The Cooper Union this fall, 13 percent were admitted and 63 percent chose to attend, a 7 percent increase from last year. Four percent of applicants were admitted to the Irwin S. Chanin School of Architecture, 8 percent to the School of Art and 22 percent to the Albert Nerken School of Engineering. While Cooper experienced a drop in first time-degree seeking students in the School of Engineering down from our all time high last fall, the percentage of those completing the part two supplement in engineering rose dramatically. Of 1,141 first-time applicants, 1,020 (89 percent) completed part-two of the application, which is comprised of 12 supplemental questions. Last year, only 62 percent completed the application. The school’s geographic profile includes 41 percent of students from New York State with 31 percent of those coming from New York City. While New Jersey residents comprise an additional 14 percent of the student body, others hail from 15 other states and the District of Columbia. Some first-year students also come from eight countries outside of the United States: China, India, Jamaica, Japan, the Philippines, Singapore, South Korea, Turkey and the United States Territory of Guam. Applications to the School of Architecture increased by eight percent from 2015, with the number of women applying rising from 286 to 337 during that period, an 18 percent increase. The percentage of women applying to the School of Engineering has ranged from 21 to 28 percent over the past ten years. This year 25 percent of engineering applicants were women. Vice President of Enrollment Services Mitchell Lipton noted that he would like to see this figure rise in the future and this would take a concerted effort among members of our academic community. Notably, students with high school GPA's above 95 (out of 100) rose significantly—from 35 percent last year to 45 percent in 2016.